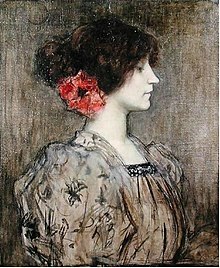 Sidonie-Gabrielle Colette (28 January 1873 – 3 August 1954) was a French writer, usually known simply by her pen-name "Colette." Can it be that chance has made me one of those women so immersed in one man that, whether they are barren or not, they carry with them to the grave the shrivelled innocence of an old maid? But just as delicate fare does not stop you from craving for saveloys, so tried and exquisite friendship does not take away your taste for something new and dubious. There is no need to waste pity on young girls who are having their moments of disillusionment, for in another moment they will recover their illusion. It’s nothing to be born ugly. Sensibly, the ugly woman comes to terms with her ugliness and exploits it as a grace of nature. To become ugly means the beginning of a calamity, self-willed most of the time. Journey for Myself (1971) “Beauties,” Quatre Saisons (c. 1928). In Gigi, and Selected Writings (1963). On this narrow planet, we have only the choice between two unknown worlds. One of them tempts us — ah! what a dream, to live in that! — the other stifles us at the first breath. Don’t ever wear artistic jewellry; it wrecks a woman’s reputation. A pretty little collection of weaknesses and a terror of spiders are our indispensable stock-in-trade with the men... nine men out of ten are superstitious, nineteen out of twenty believe in the evil eye, and ninety-eight out of a hundred are afraid of spiders. They forgive us — oh! for many things, but not for the absence in us of their own feelings. Toby-Dog: It seems to me that of the two of us it's you they make the most of, and yet you do all the grumbling. Kiki-The-Demure: A dog's logic, that! The more one gives the more I demand. Toby-Dog: That's wrong. It's indiscreet. Kiki-The-Demure: Not at all. I have a right to everything. Toby-Dog: To everything? And I? Kiki-The-Demure: I don't imagine you lack anything, do you? Kiki-The-Demure: And then what dreadful thing happens? Toby-Dog: You know very well! Inevitably, at that moment She appears, carrying a bottle with horrible yellow stuff floating in it — Castor Oil! Kiki-The-Demure: Once when I was little She tried to give me castor oil. I scratched and bit her so, she never tried again. Ha! She must have thought she held the devil between her knees. I squirmed, blew fire through my nostrils, multiplied my twenty claws by a hundred, my teeth by one thousand, and finally — disappeared as if by magic. Toby-Dog: I wouldn't dare do that. You see, I love her. I love her enough to forgive her even the torture of the bath. 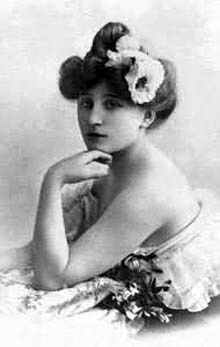 I am devoted to those who endured, like Colette. It is easier … to kiss the world a bitter goodbye than to go on working, writing, changing, enduring the slings & arrows of outrageous aging. Colette endured. And she wrote & wrote & wrote. Whenever I feel really depressed, I think of her & keep going. Here lived, here died Colette, whose work is a window wide open on life. This page was last edited on 4 October 2018, at 17:55.